Teen smoking and e-cigarette usage! The FDA finally issues regulations on e-cigarettes. There is good news and bad news for teen smoking. Although half of teens report using tobacco products, it has remained the same over the past few years. 16% middle and high school students (3 million) of those using tobacco products are now using e-cigarettes as well. Even 5.3% middle schoolers are using e-cigarettes. The newer e-cigarettes have a mechanism to increase the percentage of nicotine in them. I am not that naïve to think a percentage of those will not convert to cigarettes and other tobacco products in time. The tobacco companies back e-cigarettes, and they are banking on it! Don’t be fooled!! This product is nothing but a step toward tobacco use for the youth!! There may be some value in cessation in adults, but it is an entry level device toward nicotine addiction. It is reported that adding illicit drugs to the e-cigarette cartridge is very common. 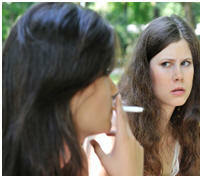 Remember, the goal of keeping youth from becoming life-time smokers is to keep them from smoking before age 21. And then you have many of these teens smoking marijuana as well! The FDA has finally decided to regulate this e-cigarettes to some extent. They have finally issued regulations that no one under 18 will be allowed to legally purchase e-cigarettes! It may not be effective, but it is a start. There are many side effects of cancer treatment and these begin during treatment, many subside, many continue, some are permanent, and some don’t even appear for many years after treatment. Until recently, emphasis has not been on survivorship issues. Prevention, early detection, and treatment of cancer have had center stage. But with over 16 million cancer survivors predicted by 2020, more and more survivors were facing the challenges of recovery with difficult side effects. Cancer organizations began addressing these survivorship side effects as a major quality of life issue. It was not until the last decade that these organizations started creating guidelines for surveillance and management. Cancer plans following treatment were created as well. The CDC has declared June 5 NATIONAL CANCER SURVIVORSHIP RECOGNITION DAY!! This is good news that all cancer survivors be recognized for their bravery, fortitude, and perseverance! It goes without saying that caregivers take a bow as well. Many of you know I have been extremely involved (37 years) with quality of life issues including cancer survivorship with the American Cancer Society. The ACS and the George Washington University Cancer Institute (GWCI) were awarded a 5 year grant from the CDC (Centers for Disease Control) to define these survivorship issues and create guidelines for management for primary care clinicians. Because of shortages in oncologists and expanding number of survivors, we have had to reach out for help from the doctors who know them best. It was long overdue to include these primary care professionals to the cancer team. It is oncology’s responsibility to educate these primary care clinicians, so they become comfortable with following these survivors regarding side effects, recurrence, and second cancers. As a cancer survivor myself, I have experienced many permanent effects that continue to plague me 25 years after my cancer treatment (radiation for throat cancer). I published my first survivorship article on this subject in CA-Cancer Journal for Clinicians in 2006. It was about that same time that an article was published from a symposium, entitled—“From cancer patient to cancer survivor-Lost in transition” by Hewitt and Gantz representing the Institute of Medicine and the American Society of Clinical Oncology. In our workgroup (ACS and GWCI), we have published survivorship guidelines in cancer journals for common cancer sites (prostate, colorectal, breast, and head and neck) as a result of that CDC 5 year grant. I will report on some of the side effects common to mant cancers, beginning with chemobrain. Side effects of cancer treatment can be categorized into a) physical b) psychological c) social d) spiritual and e) financial. The main physical side effects affect all the organ systems including: neuromuscular (including fatigue and pain), cardiopulmonary, gastrointestinal, hair and skin, blood, bone, including functional/cosmetic disfigurement, and sexual issues. Cancer is a family disease and research has proven that caregivers greatly suffer along with the survivor. The subject of caregivers will be covered separately at a later date. Infertility will be covered as a separate subject in the future, however for younger survivors, this is a serious issue. I also have written on the subject of survivorship issues for young survivors, which was published in a Georgia magazine (Laurel magazine 2015). They may suffer more side effects than any group of survivors. The name implies it occurs from chemotherapy, but radiation (especially to the brain) can also cause this issue as well as hormonal deprivation treatment (Tamoxifen, etc.) to prevent recurrence of breast and prostate cancers. Chemobrain can last 1-2 years in as many as 20% of survivors, however, it can occur to a lesser extent in as many as 70% of cancer survivors. Many oncologists are now calling this disorder “cancer treatment-related cognitive impairment”. I doubt it will ever catch on with the public, but it is much more correct. Cognitive side effects can be similar to signs and symptoms of dementia. If a patient already suffers from mild dementia, these symptoms could be greatly magnified. Chemobrain does not include patients with a brain tumor or metastatic cancer to the brain, as there are other reasons for cognitive impairment. Poor sleep, stress, poor nutrition, age, certain medications, and lack of exercise will also worsen chemobrain. Symptoms can be worsened by a myriad of superimposed medical issues including fatigue, hormone changes, aging, insomnia, depression, pain, and certain medications. Chemobrain is usually temporary, but it may last for years. It can start rather abruptly, occur during treatment, or begin shortly after. The psychological impact to the survivor, caregivers, friends, and families can be profound. 30-40% of survivors suffer from depression as well, and this factor will certainly increase the cognitive symptoms. In fact, it is difficult to differentiate depression and fatigue from chemobrain symptoms. Fatigue will improve with rest, whereas the symptoms of chemobrain will not. Studies have not included testing on survivors before their cancer treatment, so it is difficult to have precise knowledge about the cognitive abilities of patients before therapy. The cause of this syndrome may be breakdown products from the cancer. It is known that treatment increases cytokine dysregulation (cytokines cause inflammation), hormonal abnormalities, and neuro-transmitter dysfunction all of which creates cognitive difficulty. Cytokines are substances secreted by cells in the immune system. Chemotherapy can also cause oxidative stress, inflammation, neurovascular abnormalities, and catecholamine release. Biological treatments are currently being tested to counter these side effects. Frequently patients do not complain to their doctors, therefore, clinicians and caregivers need to ask survivors about possible cognitive symptoms, and come forward with information about these issues. Depending on the severity of chemobrain, treatment for cognitive issues may include psychostimulants such as Ritalin (also used for ADD), Provigil, and Aracept (for Alzheimer’s disease). Coping mechanisms recommended (similar for dementia patients): use a daily planner, exercise the brain with puzzles, etc., get enough rest and sleep, perform physical exercise daily, eat lots of vegetables (antioxidants), follow routines, don’t multitask, ask for help and admit the problem to family and friends, keep a log of trouble areas, and be positive about these temporary problems. Survivors should not go to see their doctor alone! Caregivers should report symptoms and discuss options for treatment with the doctor. Next month, another survivorship issue for most cancer survivors-- cancer fatigue will be discussed. 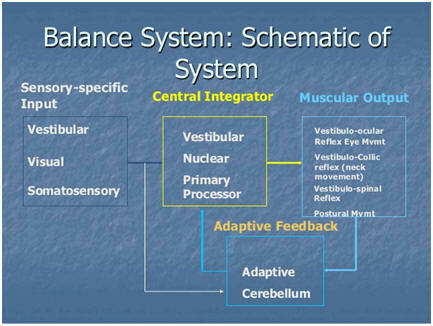 Few physiologic mechanisms are more complex than the balance system in the body. The anatomy of the balance system includes the eye, ear, the brain, the spinal cord, and the proprioceptive nerves in the body. When a person is able to stand or sit without any sensation of movement, the reflexes of the neuro-otologic system are working to provide ultimate management of multiple systems and normal balance. These 2 drawings demonstrate the ear anatomy from the outer, middle, and inner ear. 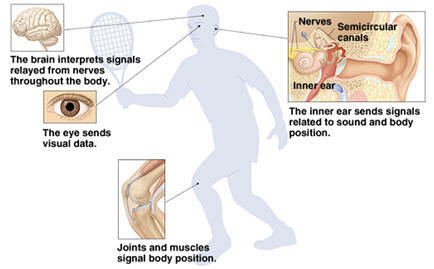 The inner ear (on the right drawing) is specifically responsible for balance with input from several other systems seen below. The eye (visual reference), the brain (interpretation and collation), and the joints and muscles and their proprioceptive nerves (they send impulses through the spinal cord to the brain and inner ear that provide a sense of position). All these organs play a role in maintaining balance. 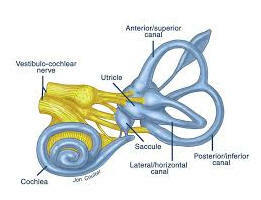 The inner ear communicates with the brain through the 8th (auditory-vestibular) cranial nerve (VIII). Disequilibrium occurs when this system fails to coordinate input as the body moves or maintains a position. Spatial orientation (knowing the position of the body) is part of this as is gravity. This drawing shows the organs contributing to balance! 1. Description of the imbalance. 2. When does it occur? How long does it last? How often? 3. Hearing loss or ringing in the ears (tinnitus) associated with dizziness? Are there visual changes or headache? 4. Associated nausea and or vomiting? 5. Loss of consciousness? Associated seizure? There are 90 million Americans with vertigo and it is the most common symptom in the 75 year or older population. Vertigo is defined as a “hallucination of movement”. Most patients use the word dizziness to mean a variety of sensations (loss of equilibrium, a feeling that they were going to pass out, lightheadedness, etc.). Most people describe it as a feeling of falling, losing balance, or a spinning sensation. III. Vascular—cerebrovascular system from atherosclerosis, strokes, hemorrhages, emboli, etc. It is rare for the external ear canal to cause dizziness, but if a large plug of wax is pushing on the ear drum, it can cause dizziness. Rarely, a severe infection in the canal can lead to a deeper infection and vertigo may be a symptom, but the external evidence of an outer ear infection would be obvious. By far, the most common cause of vertigo with an origin from the ear comes from the inner ear. By far the most common cause is positional vertigo (benign paroxysmal positional vertigo). When a person moves, gets up after sitting, or even rolls over in bed, vertigo can occur. The cause is really not known. It can last for short periods, intermittent episodes, or be longstanding. 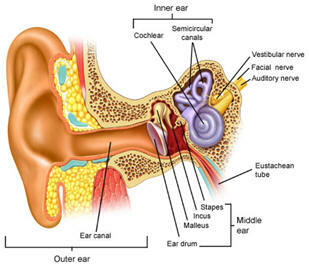 Vertigo from an inner ear etiology (cause) can occur from an acute viral infection. b) Acute viral infections of the inner ear (labyrinthitis) with or without inflammation of the vestibular (balance) nerve that sends signals to the brain (acute neuronitis) are not uncommon and cause serious vertigo with or without hearing loss. It is usually self-limited (a few weeks) and will resolve. During this time, the patient may need to be quite sedentary or even at bedrest as the dizziness can be severe. Medications to sedate the balance system (Valium, Dramamine, Antivert, etc.) will alleviate some of the severity. Since it is usually viral in cause, antibiotics are not indicated. Because the inner ears are paired, thankfully, the other one will compensate for the loss the other inner ear over time. This type of vertigo usually is not recurrent. There are little crystals (crista ampullaris) in the inner ear that can be disturbed by trauma. Head trauma is a common cause of dizziness associated with a concussion. Symptoms will improve with time. d) What is happening in the inner ear when normal movement occurs? 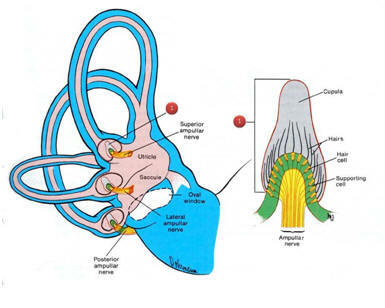 Motion of inner ear fluid (endolymph) flows across a certain structure (the cupula), which has hair cells, that when stimulated send signals to the brain that motion is occurring. When these signals are exaggerated by infection or some unknown process, the inner ear “over-interprets” movement and sends excessive signals to the brain that is interpreted as vertigo. The patient will have a “hallucination” of movement. If the eyes are examined, doctors may detect nystagmus (drawing on the right below), which is seen as the eyes jerking from one side to the other. Meniere’s disease is a common inner disease causing acute episodic vertigo associated with nausea (and sometimes vomiting), ringing (roaring, buzzing, whistling, hissing) in the ears, fullness in the ears and temporary hearing loss (although ultimately it can be permanent). This can be very severe. This is thought to be from an imbalance of fluid in the inner ear, although this has never been proven. Common overlapping conditions (comorbidities) include allergies, viral infections, head trauma, immune diseases, heredity, and migraine. The syndrome usually starts between ages 20 and 50 years. It usually lasts for 20 minutes or so, but rarely more than 24 hours. Tests include a thorough hearing evaluation, balance tests, an electronystagnogram (testing for abnormal movements of the eye), various head and body position tests, and electrocochleography (testing of the normality of the inner ear). These tests are provided by special centers and many ENT centers. These are very specialized tests that will be explained to the patient at the time of consultation. Basic blood tests and even an MRI may be recommended to rule out a tumor on the balance nerve (acoustic neuroma). Sedatives such as Valium, Antivert, salt restriction and diuretics may help. In resistant cases, injections of an antibiotic fluid (gentamycin) into the middle ear may help. This antibiotic is somewhat toxic to the inner ear, and settles the hyperactive inner ear down by damaging the inner ear. This is a specialized inner ear surgery that places a tiny shunt into a specific area called the endolymphatic sac that drains excessive fluid off the inner ear. In specialized hands (otologists), it is often successful. If this does not help, the vestibular nerve can be cut (vestibulectomy) or the inner ear removed (labrinthectomy) to relieve severe cases. Tumors arising on the balance nerve (VIII cranial nerve-auditory nerve) can cause vertigo. These are called acoustic neuromas, which are benign and can be removed either through the ear (rarely) or by opening up the back of the skull (posterior craniotomy) and operating in the posterior fossa. Facial weakness can occur with these tumors since the facial nerve runs right with the balance (vestibulocochlear) nerve. 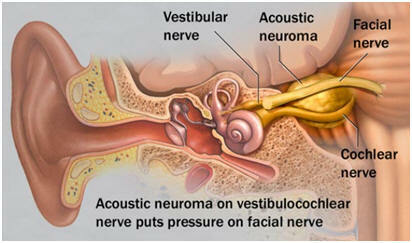 This drawing shows an acoustic tumor on the vestibular nerve. Neurological diseases such as multiple sclerosis, minor strokes, and other degenerative brain diseases can cause vertigo. Stress is a common contributing cause. Hyperventilation and anxiety frequently cause lightheadedness if not true vertigo. A review of any medications, alcohol intake, and other illicit drugs can be the source of vertigo. Migraines and vascular incidents certainly can cause vertigo, including TIAs (transient ischemic attacks), and strokes. A thorough evaluation of the carotid arteries and entire vascular system should be included in any workup for vertigo. Dehydration, anemia, hypoglycemia, diabetes, low blood pressure, and medications can all play a role or be the cause. It is advisable to see an ENT (otologist) doctor and/or a neurologist for a complete workup. Sinus infections are a horrible experience all of us have to endure occasionally (1 in 8 Americans). There have been some recent new recommendations that are important changes and some more conservative procedures to highlight. In a previous report, I discussed how to treat a standard sinus infection. 1. For acute bacterial sinus infections, the use of mild pain meds (Tylenol, naproxen, etc. ), salt water sniffs, and intranasal steroids is recommended. Decongestants (Sudafed or phenylephrine—if the patient does not have hypertension), and guiaphenesin (Mucinex) (a mucus splitter) Sudafed will shrink the nasal membranes and Mucinex will thin mucus for it to be able to travel out of the sinuses. Acute infections last less than 4 weeks. 2. If an antibiotic is recommended (usually if the symptoms do not improve in 5-7 days), amoxicillin with or without clavulanic acid (the combination is called Augmentin) for 5-10 days. (1 in 5 antibiotic prescriptions are written for sinus infections inappropriately). Alert! The FDA just put out an alert about the use of Ciprofloxacin (Cipro) and other fluoroquinolones. These antibiotics should not be used for upper respiratory infection including bronchitis unless other recommended antibiotics do not work or cultures point to the need for Cipro. 3. Two conditions will potentially change the scope and length of treatment of sinusitis (nasal polyps and asthma) which may require systemic corticosteroids. It is very difficult to differentiate a viral from a bacterial sinus infection. Cultures of nasal secretions take too long for results to be of value in most cases. Clinical decision- making is critical and an ENT consult may be required. 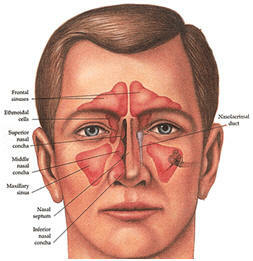 Chronic sinusitis is a complex disease needing careful monitoring. It may involve an allergist to unravel the true allergies that can be treated with allergy shots. However, the medical treatment recommendations have been revised. To the right (b) the frontal and sphenoid sinuses are shown on a side view. The sinuses all drain into the nasal cavity, and for sinuses to be normal, a good nasal airway is necessary. Also there are turbinates inside the nose, which are bars of bone to warm the air we breathe and provide significant surface area to trap all the foreign materials we inhale. These are very important, as the turbinates can be thought of as filters for air breathed in. Turbinates can engorge with blood and stop up the nose and block the openings of the sinuses. Allergies and infection will cause these turbinates to swell. 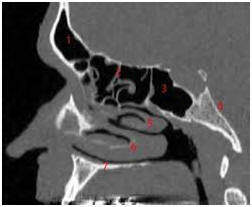 The CT scan (a) and below left (c) demonstrates infection in the ethmoid and maxillary sinuses. On the right (d), is deviated nasal septum (DNS). Chronic sinusitis is defined as lasting more than 12 weeks with or without recurrences. Between 4-12 weeks, it may be considered resistant and require an upgrade in antibiotics, ordering CT scans of the sinus, and direct sinus irrigations. (During this time, immune status may be evaluated (blood tests—IgG, IgM, and IgE) and a blood count). This disease accounts for 1-2% of patients seen in doctor’s offices (certainly was higher than that in my ENT office). 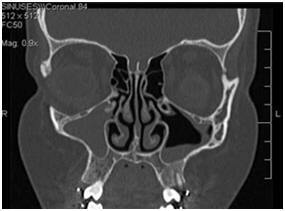 Recurrent acute sinus infections do occur for a variety of reasons in these patients, which may proceed into a chronic sinus condition. There is usually some anatomic reason for this, in my opinion. Nasal obstruction from a severe septal deviation and or nasal polyps with turbinate hypertrophy (enlargement) is very common. Undertreating a sinus infection is also a common cause of recurrence. Not addressing an underlying allergy problem will likely result in failure and or recurrence of sinusitis. Nasal stuffiness, post-nasal drip, discolored mucus, loss of smell and taste, and pressure in the cheeks and between the eyes all occur intermittently. Many of these patients have nasal and sinus polyps, small and large. It is necessary to distinguish between those that have polyps and not. Either way, swollen sinus mucosa and or nasal polyps block the openings of the sinuses and along with nasal obstruction including turbinate enlargement, causing infection in the sinuses. It is on that basis that the new recommendations are made. 1) Nasal saline irrigation is extremely valuable to cleanse and siphon the sinus mucus out of the naso-sinus cavities. Using a Netti-Pot or snorting the saline up one nostril at a time with saline in the palm of the hand 2-3 times a day will increase the sinus drainage and promote release of trapped mucus. The hair cells (cilia) that are present in a normal sinus are usually paralyzed because of infection, allergy, polyps, or thick mucus. We must assist this process. 2) Topical corticosteroids (nasal steroids-Nasacort, Flonase, etc. are now OTC) on a daily basis once or twice a day every day will significantly help the condition. They can reduce swollen (as an alternative to doxycycline) can reduce the symptoms of this disease compared to placebos in patients with nasal polyps. These medications block the substance, cysteinyl leukotriene, which blocks the cascade of events that cause asthma and allergic reactions. 3) Leukotirene receptor inhibitors (montelukast (Singular), zafirlukast (Accolate)—non-steroidal bronchoconstrictors may be necessary asthma is present. 5) Macrolide antibiotics (the class of erythromycins-Biaxin, Zithromax-the “Z-pack”) for 3 months can significantly reduce symptoms and improve the quality of life in these patients without nasal polyps. Without these recommendations, there is a considerable risk of a continued and worsening of chronic sinusitis. These recommendations may be best prescribed by an ENT surgeon or allergist. If chronic sinusitis persists, a formal allergy evaluation is indicated. Frequently these patients have concomitant asthma. The entire mucosa of the nose, sinus, mouth, throat, larynx, and bronchial tree, and lungs are one and the same, so it is no surprise the entire mucosal blanket is the target of infections and allergies, both upper and lower respiratory. With continued symptoms, a CT scan of the sinuses is to evaluate the extent of swelling and blockage of the sinuses. Surgical management of sinus disease will be covered next month, including the new office balloon procedure. 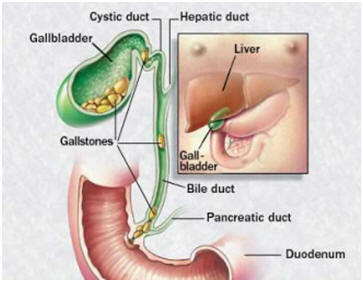 Continuing with the GI series, gall bladder disease is very common. The drawing of the gall bladder below demonstrates that it is a small bag-like structure (7-10 cm=3-4inches) that is connected to the common bile duct found under the liver. The liver secretes bile for digestive purposes (fats), and drains into the hepatic ducts to the common bile duct. Some of the bile acids concentrate in the gall bladder for storage. Its capacity is usually 40-50 ml, but if it is obstructed, it can enlarge to 300 ml. 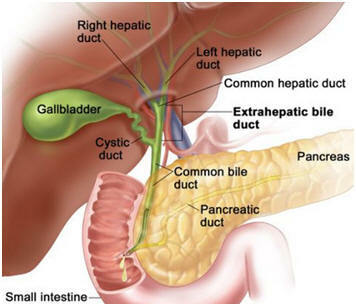 The bile continues down the common bile duct and accepts the pancreatic duct (enzymes from the pancreas assist in digesting protein in food). The combination of liver, gall bladder, and pancreatic secretions empty into the small intestine (duodenum), as shown in the above drawing. Bile is made up of 97% water, 0.7% bile salts, 0.2% bilirubin (from the liver breakdown of a component of blood-heme), and 0.51% fats. Without bile, fats are not digestible causing steatorrhea (fatty diarrhea). 1-Biliary obstruction is caused by a high concentration of sugar, fats, and processed foods in the diet, which cause a“sludge” of secretions in the gall bladder, which leads to the formation of gallstones, and obstruction. This leads to acute cholecystitis or a sudden gall bladder attack. When the gallbladder creates gallstones (cholelithiasis), it leads to inflammation (cholecystitis). 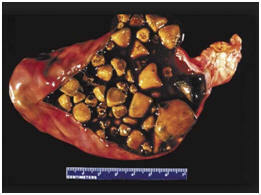 The above photo on the right shows a gallbladder filled with multiple gallstones. These stones can leak out of the gallbladder and enter the common bile duct (choledocholithiasis) in the drawing on the left. These stones can obstruct the bile duct, causing backup of bile into the liver and blockage of the pancreatic duct, which causes obstructive pancreatitis (the most common cause of pancreatitis). The 5 “F”s—female, forty, fat, flatulent, and fertile (one or two children in the past) is the mnemonic of risk factors for acute cholecystitis. If a patient presents with abdominal pain (especially after a meal), include nausea, belching, pain after eating especially in the right upper (quadrant) of the abdomen, gall bladder disease should be suspected. Heartburn and indigestion are common. With obstruction of the bile duct, yellow jaundice can occur from buildup of bilirubin in the liver. Fever and chills can also be present with more severe cases. An ultrasound is the standard routine test to evaluate the gall bladder and bile ducts for stones and enlargement. X-ray, special studies (hepatobiliary scintigraphy), CT-scan, MRI, and dye studies (cholangiography) are also used. This is a test that uses a small endoscope passed down the throat into the stomach and into the duodenum to examine directly for stones in the bile duct may be tried. This includes a blood count, pancreatic amylase, liver enzymes, bilirubin (jaundice) to evaluate for infection, inflammation of the liver and pancreas. Hospitalization, IV fluids, antibiotics, and surgery may be recommended. If recurrent gall bladder attacks occur, if stones are present, and it is suspected they are getting into the bile duct, or there are bile duct stones present, surgery should be considered. 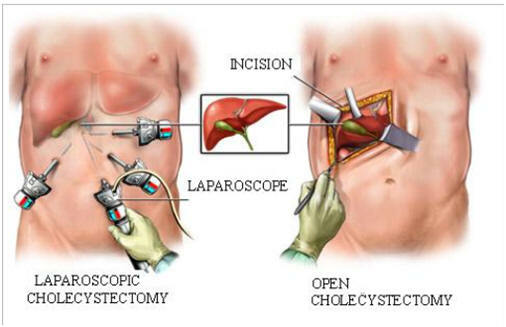 Endoscopic removal (cholecystectomy) is the preferred technique sparing the patient a 5 inch or more abdominal incision, however open surgery may be required. Below are the two options for surgical removal of the gall bladder. Multiple stab wounds are created to introduce the endoscopes and instruments to perform the procedure. There are times that this is not successful, and therefore, patients need to be prepared for an open abdominal standard cholecystectomy. Indwelling tube in the bile ducts for a few days may be necessary to promote flow of bile from the liver. The postop course can be shortened with the endoscopic technique. The patient may be able to go home the day of surgery on a liquid diet usually returning to normal activities in a week or so. The Mayo Clinic has good instructions regarding diet after this surgery, but smaller more frequent meals that are lower in fat are recommended. Caffeinated and dairy products will be harder to digest for some time. I have discussed Donald Trump and Senator Bernie Sanders’ healthcare plans. Their plans are much structured than Mrs. Clinton’s. We are familiar with her failed attempt during President Bill Clinton’s terms to create Hillarycare in 1993. To be fair, Bill had a Republican held Congress, and turned down her ideas. 1. Continue to support Obamacare (I have discussed this many times). Consider healthcare a right not a privilege. 2. She will crack down on pharmaceutical drug costs (how??) and promote research by drug companies. 3. She will continue to support women’s access to reproductive healthcare, including contraceptives and safe abortions. 4. She is still pushing for universal healthcare (called public option). Remember that is where Obama started before being defeated by Congress. 5. She promotes a $5,000 tax credit to offset some of the cost of Obamacare deductibles and co-pays. Remember, most lower income Americans chose the cheaper levels of insurance, most of which have $10,000 deductibles, a clear barrier to the use of their insurance for millions. 6. She promotes expansion of Medicaid in all states. 17 states did not expand. By next year, those states have to accept ever-enlarging responsibility for the cost of Medicaid. There are still 33 million Americans who do not choose or have not signed up for Obamacare. 7. Expand Obamacare to all families in our borders regardless of immigration status through Medicaid and CHIP (Children’s Health Improvement Act currently active in the U.S.). She also supports letting illegal immigrants regardless of financial status to purchase U.S. health insurance. 8. She promotes lower deductibles and co-pays, and higher quality care. 9. She promotes increasing access of healthcare to rural America. 10. She would require all healthcare plans to provide 3 extra sick visits to their doctor per year with no deductible. 11. Families wanting insurance through the exchange (Obamacare) will not exceed 8.5% of their income to pay for premiums. 12. She would require insurers to cap out-of-pocket expenses at $250 per month. 13. She would eliminate tax credits to any pharmaceutical company that advertises their drugs on TV or other media. 14. She would move away from fee for service for doctors and bundle payments. This has been tried to some extent. All candidates have pie-in-the-sky ideology for healthcare without explaining how they will attain the support of Congress and figure out how to pay for expanded healthcare, which exceeds $10,000 per person currently (and is rising). Healthcare is expected to reach $3.2 trillion this year with a rising population of 320 million people in the U.S.
By raising the deductibles and co-pays, the current administration is cost-shifting to our citizens. How Hillary plans on turning that around is not known, but it surely means higher taxes for all. Even Bernie’s plan clearly raises taxes on the middle class (not just the upper class). Employers are feeling the greatest pressure. In 2018, employers will be paying excise tax on their healthcare plans squeezing them and forcing them to employ fewer full-time people. The Supreme Court just ruled that insurance companies cannot be reimbursed for the excess cost of Obamacare in the 37 states that expanded Medicaid, which has been another defeat for Obama. Again, with the rising cost of healthcare, the over-flowing of our borders with illegals and refugees, the aging of society, the obesity epidemic, and the utter irresponsibility of the average American to live a healthy lifestyle and maintain good health, I don’t see Obamacare surviving and expect universal healthcare to occur in the next decade. There is nothing free in this country!! Restless leg syndrome (RLS), a neurologic movement disorder, is described as periodic motion of the legs during sleep (leg jerks) or periods of inactivity or at rest. It causes loss of quality sleep and creates difficulty for these patients to sleep with others. These uncomfortable sensations are described as “creepy crawly”, needles and pins, or itchy and vary from mild to intolerable. It usually occurs in the lower extremities but can occur in the arms. RLS affects 10% of the population. It usually begins in the 20s and worsens with age. It may go undiagnosed for years. Half of the patients have a family history. Other factors include low iron levels, and some chronic diseases such as Parkinson’s disease, peripheral neuropathy, diabetes, and kidney failure. Certain medications can cause RLS including some antidepressants, antihistamines, anti-nausea medications. Some pregnant women in the third trimester can experience RLS. Alcohol and sleep deprivation can also cause this syndrome. The diagnosis can be made with a polysomnogram (sleep study also used to diagnose apnea), which can quantify the severity. Treatment for mild symptoms include daily exercise, establish a routine sleep pattern, hot baths before bed, massage therapy, eliminate alcohol, caffeine, and tobacco. A vibrating pad made by Relaxis may help. Dopamine agonists (they act like dopamine) Miraprex, Neuropro, and Requip. Benzodiazopines (Valium, Xanax, etc.) are helpful as well. Anti-seizure meds include Neurontin, Tegretol, and Lyrica also used in neuropathies are also successful in some. Clonidine, a medication to treat hypertension and attention deficit hyperactivity disorder, and anxiety also works for some RLS patients. These various medications will have to be tried to see which one is most effective. This syndrome was first described in 2001, is characterized by unpleasant sensations in the pelvic or genital areas not caused by sexual arousal. This disorder has some association with restless leg syndrome. It can be described as tingling, burning, painful, itching, or throbbing sensation. It usually occurs when sitting or lying down and can be relieved with standing with an urge to move. If it occurs with restless legs at night, the diagnosis can be made with a family history of RLS of 40-60% of the time. B. Several mechanisms including abnormalities in neurotransmitters (dopamine) have been proposed but the cause is not known. Some patients have low ferritin levels, a protein that binds with iron. 10-25% of patients with Parkinson’s disease have this syndrome. Because of the relationship to RLS, it is treated with the same medications, which are dopamine agonists (pramepixole, ropinorole, rotigitine). Also anti-seizure meds such as gabapentin (Neurontin), pregabalin (Lyrica), and Tegretol. Benzodiazepines-clonazepam and opioids have had success as well. In those with a low ferritin level, iron supplementation is recommended. I came across an excellent summary of sleep disorders, which occur in kids (and adults) with ASD. The prevalence of sleep disorders in ASD is 45-86% depending on the study. The reason sleep disorders are so important is that they greatly influence behavior and can complicate treatment. Primary care clinicians should be aware of how common these sleep disorders occur, and they should ask parents about the specifics of the patient’s sleep habits. These are linked to increased hyperactivity, temper tantrums, and conduct disorders especially in males. Insomnia—as many as 25% experience prolonged periods in falling asleep. 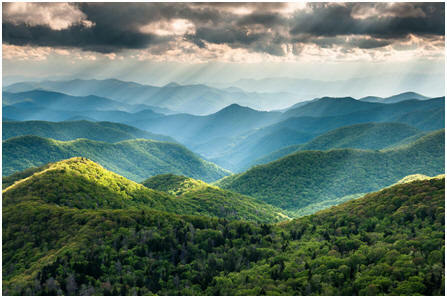 There are a significant number of awakenings during the night and it is common for them to awaken earlier in the morning, creating daytime drowsiness and increased behavioral issues. Reduced sleep duration—22% were found, in one study, to have less than 8 hours of sleep a night from the awakenings. This explains the often noted daytime drowsiness in ASD patients. Parasomnias—this includes sleep walking, bruxism (grinding the teeth), restless leg syndrome, sleep talking, and night terrors. It is thought by some that these sleep disorders are actually part of the syndrome of ASD, but they must be addressed. Also these sleep disorders may be explained by decreased plasma levels of melatonin, responsible for sleep regulation. Treatment may include taking melatonin (1-6mg 30 minutes before bedtime) each night. If that is not successful in 4 weeks, other pharmacologic agents may be tried including clonidine, risperidone, secretin, multivitamins, and iron. The daytime behavior issues directly correlates with family stress. Sleep diaries are recommended to validate the degree of sleep disorders in these patients. If there is an increased prevalence for sleep disorders, questions should then include gastrointestinal disturbances (reflux, constipation, and abdominal pain), asthma, eczema, seizures, nighttime coughing, and snoring or even sleep apnea, as these are co-morbidities (co-existing illnesses). Airway assessment should include mouth-breathing, enlarged tonsils, large tongue, short jaw, high arched palate. All of these issues may be present at an increased rate. This completes yet another Medical News Report. I want to remind you, you can access these reports all the way back to the first one. The subject index can used to research any subject by clicking on the number(s) of the reports adjacent to the subject. 1) What is a hospitalist? 2) OCD-Obsessive Compulsive Disorder 3) The GI Series-#12-small bowel disease 4) Advertising and Big Pharma 5) Cancer Survivorship Series-Fatigue and cancer 6) Sinus Disease-part 2-surgical sinus surgery procedures including a new technique.